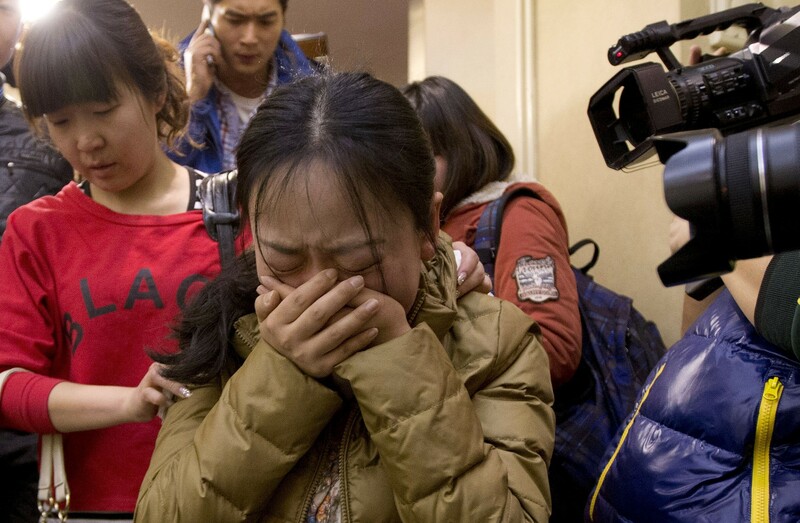 News on MH370 has been dominating the Western news networks for more than a month, but with little in-depth coverage on the families of the missing Chinese passengers. In this article read about the cultural and social factors that affect their grief stricken public outbursts and what this tragedy means for them in the future. One story that has been dominating Western news networks for more than a month is the mystery of missing Malaysian Airlines flight MH370. As of this article’s publishing, the search to find the missing plane and passengers in the South Indian Ocean is still ongoing, with no definite news on the location of the plane or the fate of the passengers. From the very beginning, the story has had a specific Chinese angle, as 153 of the 239 passengers aboard flight MH were from Mainland China. Many of the family members of these Chinese passengers have been forced to wait for weeks, some in Malaysia and some in China, hoping for some word on their loved ones. And while Western viewers have been privy to the mourning and public outbursts of these Chinese families, there has been little coverage in the West on the specific reasons behind them. While it is certainly true that any family in this situation would be wracked with grief, there are some specific differences in the grief displayed by these Chinese families that reflects cultural and social disparities between China and Western countries. In the following article, some of these differences will be explored to enlighten Westerners on the true plight of these Chinese families. The family has always been very important in China, though the smaller size of the modern Chinese family has in some ways increased its importance, and perhaps its fragility. While the Chinese family (including the extended family) has traditionally been very large, its size has been drastically reduced due to the one child policy. And while there may be no technical barriers to rebuilding a family after a tragedy, it still may be a practical impossibility. On one hand, the Chinese possess strong prejudices against divorce and remarriage, with a stable family viewed as more important than individual happiness. While a Chinese man or woman who has lost their spouse may desire to find another partner, there may be internal resistance from friends and family. Many Chinese are strongly against marrying at a later age. And while Chinese men find it possible to marry a younger woman (if they have enough money), Chinese women above the age 30 or 35 will likely find it near to impossible. On the other hand, even though the birth of a second child is allowed under the Chinese one child policy after the death of the first child, Chinese couples are rarely willing to have children at a later date. This is partly due to the increasing risk of birth defects as a woman ages (even though plenty of later births occur in other countries), as well as the continuing belief that a woman’s role is to marry and have children early. For the above reasons, Chinese families who have lost one or more members of their families in the MH370 tragedy may be faced with the inescapable fact that they will have no chance to rebuild or recover. One issue that struck a chord with this author was the grief displayed very publicly by some Chinese family members. While any family faced with such a horrific tragedy would surely be filled with grief, the ways the Chinese (and many Asians in general) deal with their grief and negative emotions differ significantly from those in the West. Many Westerners hold the view that the Chinese are more reserved in their displays of emotion and to a degree they are correct. Chinese society’s early focus on hierarchy and collectivism meant that everyone had a proper place and way to act. One of the ways this translates into modern Chinese society is a reticence to discuss or openly display emotion among strangers and sometimes even one’s own family. However there are several reasons why Chinese people might break with this norm where grief and mourning are concerned. The Chinese concept of Ren (忍) can be involved in sudden and violent displays of emotion. In Chinese, Ren means to endure or to tolerate. 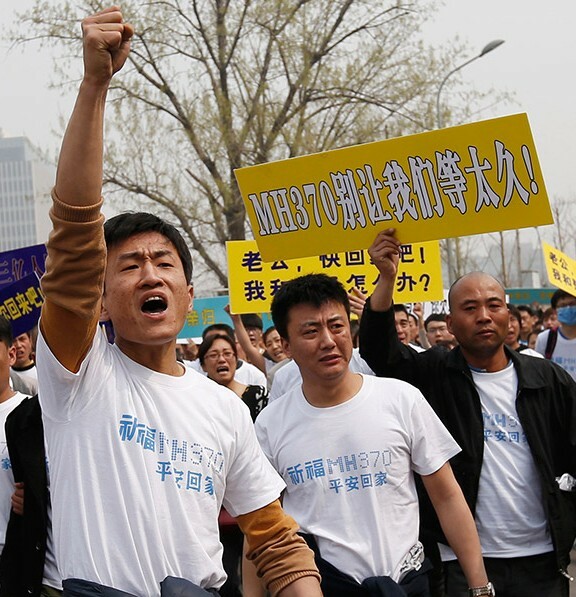 Because specific members of Chinese society have specific roles and accepted behavior within those roles, they are rarely completely free to act or speak their mind. As such it is very common for negative feelings and stress to gradually increase within a Chinese person as an emotional pressure. At particularly tumultuous times these negative emotions can become too much to bear, and like a broken dam, spill forth in a torrent. Also, under certain circumstances, especially where the death of loved ones and close friends is involved, Chinese people are expected to display exaggerated emotions. This practice comes from the Chinese custom of worshiping their ancestors and revering their elders, an incredibly important part of traditional Chinese life. The eldest member of the family (usually the eldest male) was always accorded the most respect, and upon dying, an elaborate ceremony would be held to pay respects and allow the family to mourn. This mourning would many times be public in front of the neighborhood. Chinese family members who were not seen to mourn and grieve publically and exaggeratedly were thought to be heartless and not filial (not fulfilling their duty to their elders). In modern China where family sizes are much smaller, this type of behavior may be extended to other family members besides the oldest, such as a child or sibling. 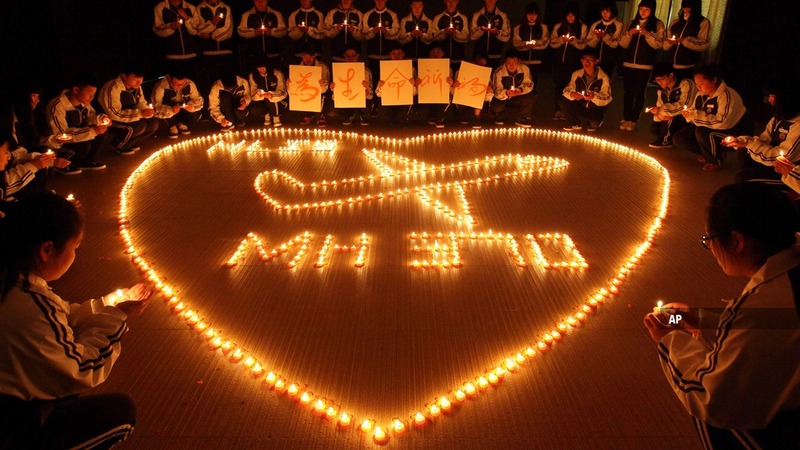 Many family members of the Chinese passengers of flight MH370, in addition to their grief, have been notably aggressive and confrontational in both their language and actions toward representatives of Malaysian Airlines and the Malaysian government. While this might be understandable for anyone with a missing loved one, it is more so for the Chinese. The rapid pace of China’s economic development, along with the weak social and legal infrastructure present in many areas in China, has resulted in China’s citizens becoming accustomed to being taking advantage of with little to no legal recourse. As such, the Chinese often take an aggressive stance when faced with a situation in which they feel they are being taken advantage of. This author has personally observed this aspect of modern Chinese society on multiple occasions, and offers the following examples to further illustrate this point. Supermarket Lines: A common sight at China’s large Hypermarts (e.g. Carrefour, Walmart) is one or several customers haranguing and hectoring cashiers over pricing or other issues of discontent. More often than not excuses are not accepted and the customer will keep at it until their concern is adequately addressed. Delays at the Airport: In one instance when flying from Shanghai to the USA, this author’s flight was canceled, and all passengers were shuttled off to another airport to catch a different flight. Little information was provided to any of the passengers as to where it was feasible to make the arranged flight. Due to what was viewed as a lack of information and poor customer service, several Chinese passengers came close to assaulting the accompanying airport representative when their questions were not answered satisfactorily. In the end these passengers detained this representative aboard the shuttle bus for 5-10 minutes before he was finally allowed to leave. The important point to be aware of from the preceding examples is not that the Chinese are mean or violent; indeed, far from it. In modern China the pace of economic growth along with weak social and legal infrastructure have created a social environment in which many Chinese are very wary about trusting companies or their fellow citizens. One result of this is that the Chinese can be understandably aggressive in defending their own interests, especially because in many cases the law may not be able to. Returning to the tragedy of missing flight MH370, it seems to be the opinion of many, if not all, of these Chinese families that Malaysian Airlines and the government have at the very least bungled the investigation and search efforts, and may very well have withheld information from the public in their own self-interest. This author’s interpretation of the protests and aggressive rhetoric and demands put forth by these families is that they have become convinced that the Malaysian government and Malaysian Airlines have no intention of going out of their way for the families and that the only option available is to fight back and become loud enough to force compliance with their demands and concerns. What Does This Mean For Western Audiences? To a certain extent the Chinese are just like people all over the world. They all have families and react similarly as anyone else when they lose someone they love. However one key point that should be remembered is that although the Chinese may appear similar to Westerners on the surface in some ways, they are actually very different. The Chinese mindset is distinct, and is shaped not only by their cultural history, but by the conditions of modern Chinese society. Understanding Chinese culture and society will not only provide Westerners with a greater appreciation of the Chinese people, but will also make it easier to empathize with them when tragedies similar to the missing flight MH370 occur in the future. Do you have any additional questions about the Chinese families of Flight MH370? What have your own feelings been when viewing the news stories on this tragedy? Please feel free to post your thoughts in the comments section below. Thanks for this article. I agree with your points and hope that a similar newsletter will be created for the Chinese to better understand westerners. Glad you liked the article. I’m always trying to help the Chinese understand Westerners better as well, so perhaps I’ll write articles on that in the future too. Sean, I agree with everything you say, but think that you give far too free a pass to the PRC government and CCP in explaining Chinese people’s behavior. With only veiled references to government or party — like a “weak social and legal infrastructure” — your piece avoids ANY direct mention of these players. While I agree that Chinese aggressiveness is a response to a system with a weak rule of law undergoing incredibly rapid economic changes (along with the other factors you mention), it is also is a response to a government and party that, for far too long, has put their own interests well ahead of those of its people…and has had little problem withholding information from and outright lying to them. No wonder that its citizens have lashed out. Their experience at home has taught them to distrust any government. Add to this some of the news stories that appear in state-owned media which angrily pointed fingers at Malaysia’s handling of the situation and it becomes clear that the Chinese government is fanning the flames of anger and aggression. Thanks for your comment though I disagree that I give a free pass to the PRC government in the article. The simple fact of the matter is I simply do not discuss the government’s role, choosing to examine the cultural aspects as related to the families instead. On the issue of government I will say that in this case the PRC government has been trying play a much more moderate role and ease tensions between the Chinese families of MH370 and the Malaysian government, even going so far as to call these families “extreme.” I found this extremely interesting as the Chinese government almost unilaterally supports its own people in grievances against foreign companies and governments (and yes, it is also a very effective international policy tool). I posted the question “What might be happening ‘interculturally’ with the search for Malaysian flight 370?” in linkedIn and I have had a very responsive discussion from interculturalists and cross cultural professionals. IT is where I learned of you article, which I have read and agree with. I think that there is a lot going on that is ‘cross cultural’ in the way of grieving, but also in the way that the governments, media, businesses, and those involved in the investigation – as it covers upwards 25 or more countries/ cultures – that we are ‘seeing’ unless we regularly use this lense. Thanks for sharing, and I wonder if I met you in China, as I was there from 1994-1996, and then 1998 to 2011. Cheers. Karen, thanks for the comment. You make a good point on the number nationalities involved in the MH370 crisis. It certainly creates more difficulties for governments, companies, and new agencies when there are many different cultures to consider, likely increasing the potential PR blunders. The Chinese families is one example of this though who knows what other types of negative public reactions are being seen in other countries from which other MH370 passengers hailed from. I’m not sure if we have met before, was in China in 01, 04-05(Chengdu), and 10-13 (Shanghai). Thank you for this insightful article, Sean. I have shared it with others who work with Chinese families and students here in the U.S. as I believe it will be of great help to us all in bridging the cultural gaps that exist between Americans and Chinese. Thanks for commenting. If you ever have any additional questions on Chinese families or Chinese culture in general please feel free to submit an article suggestion via the “contact author” link on the top menu bar. I started reading your article thinking “yeah yeah, another China armchair expert”. But I really do think not only have you identified the key fundamentals (families are forced to have a “one egg one basket” strategy, and that rule of law is weak) but the way you wrote it was insightful and accessible. Wish I could write like you! Mitch, thanks for the comment. I’ve never heard the term “China armchair expert” before, though I can now see how it would be apply to Westerners commenting on China from afar. Personally I try and avoid using the term “expert” (though sometimes that’s impossible) as it is used way too much in modern business and has more or less lost its meaning. I simply try and speak to what I’m experienced in, and in this case I’ve spent a lot of time in China with the locals, and have observed plenty of family dynamics. i have to say, Sean, as a non-Chinese, your understanding of the Chinese way is deeper than a local Chinese like myself! Two thumbs up!! Thanks, I appreciate your comment. My own belief is that no cultural differences are insurmountable and that any Westerner who is committed to learning about China and the Chinese people can succeed. It just takes time and an open mind. Of course the same goes for Chinese people that wish to learn about Western countries and cultures. Nothing is impossible! Next Entry What Does “Leader” Mean in China?